- We honor the victims of this horrific crime. - We praise the courageous men and women first responders and hotel security staff who responded quickly and effectively to neutralize the ... See More killer. As a result of their rapid response, hundreds of lives were saved. 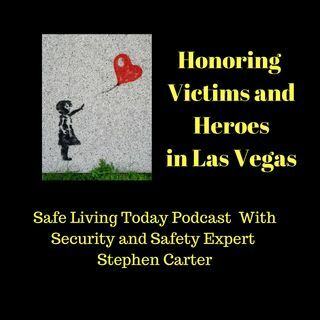 - We honor the bravery of every day people in the audience who risked their lives to help save the lives of other people who were wounded by the gunman. - Commissioner Stephen F. Sisolak of the Clark County goverment offers praise for first responders and others. He shares information about the Go Fund Me page that they established to help victims of this tragic event. - If you suspect someone may be at risk as a "copy cat" killer, please say and do whatever is necessary to get that person help before it's too late. - The link to the GoFundMe page is https://www.gofundme.com/dr2ks2-las-vegas-victims-fund.